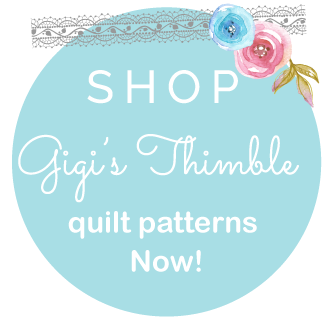 This pattern is perfect for beginners. It would be so cute on a child's bed or even hung in a playroom. I'm dying to make it up in every color scheme...boy colors, brights, and vintage too. Can't you just see it? But, I really love this pattern because it can be made with or without the numbers, making it very versatile. It's scrappy, fast and fun and I hope you like it! My new friend, JoAnne, over at the online fabric store, Lanie Jane has donated this [much coveted] BLISS Layer Cake for one of you, my awesome friends! She also donated some of these cute little "gem packs". 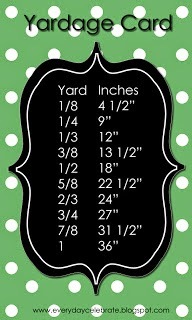 These gems measure 11" x 18" and are so dang cute. There are 3 different themed gem packs. Each pack has 12 gems in it, making 1 1/2 yards worth of fabric in each one! Since there are 3 gem packs I think I need to pick 3 more winners! There are a couple of ways to enter. 2.) Be a follower of this blog. Just leave a commnet saying "follower!" 3.) Go give JoAnne at Lanie Jane some love for donating these wonderful fabric prizes. Place an order or become a follower. Come back and tell me what you did. 4.) Spead the word - blog about this giveaway on your blog or website and leave me a link to that post. I'll pick the winner Monday morning! Amber, it's gorgeous! Congratulations on another fabulous design. I'd love to be entered into your generous giveaway. I'm wanting to try a brightly colored quilt so I'd love to do this pattern in bright fabrics. I am already a follower of your sweet blog. I did go to Lanie Janes blog and took a look around. However her comments are closed at this time. She has a lovely online shop. Crazy, I know, but numbers are always green to me, so I would make this quilt in greens! Love the pattern! Sweet pattern! I would make it up in pink, yellow and green for my guest bedroom. I have it decorated for my granddaughters. Great giveaway! What a darling quilt! I would so make this quilt in some bright kid friendly colors and then bless my SIL with it to hang up in her preshcool classroom. Thanks for the chance to participate in your giveaway. My daughter said just how much she loved red and polka dots so maybe that lovely set would be my choice. She has already dropped a hude hint about a new quilt. Darliing and fun pattern! I definitely see it in Bliss. My sewing room/loft is being accented by these colors so I'd find a wall for it in there. Hi, I'm a follower and would love a chance at winning a layer cake or the 'little gems' ! Thanks for the chance! Love the pattern! I would make a quilt for my 21-yr-old son, minus the numbers, in shades of blue, his favorite color. I would love a chance to win. I would make this for my future grandchild! This pattern is gorgeous and I would make it up in the Lilly and Willy range, I love the white in it as well. It will be perfect for my yet to be born granddaughter. oooh what a great give away! Your quilt looks like so much fun! I'd love to make one in punctuation by Moda. I'm thinking ABC's in stead of the numbers, wouldn't that be fun?! Love those gem packs too they're adorable. It's lovely! I'd make 2 - one for my little boy in blues, reds and white, and one for my little girl in shabby pinks and greens. I think my nephew is soon to be due for a new quilt, so I would probably use boy colors to make this pattern... Blues, greens, maybe a bit of brown... Of course, they just redid his room, so I would have to go check out the new color scheme before I actually started working on it. I wouldn't want it to clash! Very cute pattern! I could see this quilt in my playroom, made in the perfect playroom color combination that I haven't yet decided upon, hung playfully on the wall with some fabulous way to hang. Details to be decided but it would be wonderful! Also, I am a new follower. I've been reading. Somehow I just always before missed the part where I needed to click the little button up there. I love your new pattern! I think it would be really cute for a boy using the Hooty Hoot line. I would make it and display it in my spare room. I follow Lanie Jane too. Wonderful new pattern. I think I would like to do it in turquoise, pink, and brown to go with my little nieces bed sets. I would love to hang it on their wall. It would look so cute in their room. Thank you for the chance to win some yummy goodies. I would do it in brights with jungle animals for my nephew. I'm happy to be a follower of yours! Oh what a fun pattern! I would use my Aunt Gracie fabrics and surprise someone with it! I love being your follower too! Left a comment over at Lanie Jane. Very fun! Wonderful and fresh! I think I can see fall colors; those 9patches would look like falling leaves...thanks for the giveaway! Very cute pattern! I think I would make it in "boy" fabric for my new grandson when he gets old enough for a big boy bed. Thanks for the chance! I'm a follower and very much enjoy your blog. Love it! I'd make one for a little girl but would probably leave off the numbers. Or, I could use this pattern as inspiration to try applique. Great pattern. I would make it for my grandson in blues and greens. Amber, what a cute new pattern! I think I would like to try it first in pastels but brights would be equally as cute! Thanks for such a generous giveaway! I love following you. You are so gifted! I'd love to make this quilt for my daughter's bed. Beautiful! Went to take a look at Lanie Jane shop and leave a comment for Joanne on her blog but her comments are closed. I'll keep her shop in mind though. That is a cute quilt design...can't wait to see the other new designs! Great pattern, I would make this for my little one. I would choose brown, green and red colors. Thanks for the chance to win. Such a pretty, pretty pattern. I'd like to say that I would make it for a grand daughter, but I don't have one yet. So, I'd make it for my daughter's recently abandoned bedroom. Thanks! I love following you! Thanks! I would love to do this pattern in boys colors (blues, reds, and gray) for my boys' room. Or in purples for my niece's birthday. Or in the colors of our new playroom. Wow - possibilities are amazingly endless! One, Two, Buckle My Shoe quilt pattern would be a great quilt for my nephew using a Pure fat quarter stack and all the numbers in a dark brown print from the line. It would look perfect on his bed. 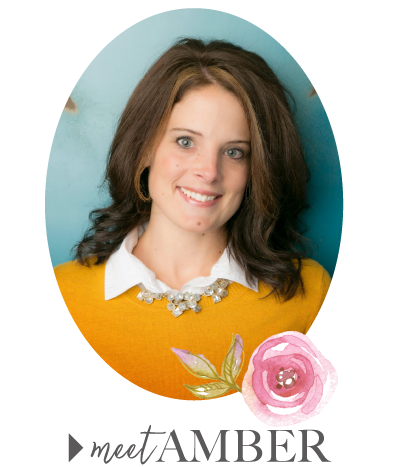 I follow Lanie Jane's blog! I like this pattern and would probably make it for our home. Great giveaway. how are you so creative!? I would make it in pinks and blues for a bed in my guest room. WHAT A FABULOUS GIVEAWAY!!!! I LOVE LOVE LOVE THE NEW BLISS LINE!!!!! I would like the pattern just to get motivated to quilt again! I'd love to do it in boy colors for my friend's new baby, but the girl bundle is adorable too! I visited Lanie Jane's shop and blog but was unable to leave a comment....the comments were closed. What a great pattern. I think that I might have to follow your lead and make it up in fabrics from fig tree. I follow your blog in my reader account. Awww what a cute quilt. I love the numbers. I also love Bliss - my kind of colours! I would make this quilt for my daughter. I am not sure if I'd use the numbers or not, but I would incorporate pretty fabrics like some of Amy Butler's Love and Fandango by Kate Spain. I love the idea of making it in boy colors for my friend's son. I'm a follower and that is some gorgeous fabric! My granddaughter is turning 2 this month and is getting ready for a "big girl bed". This would be perfect for her. She loves blue (and her mommy loves pink) so I would combine shades of blue and pink for her. I think this would make a great tote! Love the quilt! I would totally make this withe the Make Life layer cake in my stash and hang it in the kid's playroom. It's just so cute! Very nicely done pattern and versatile too! I am proud to be a follower of your blog. Great ideas here! OOO... I love this pattern! I would make it for my nephew with Moda Pure. 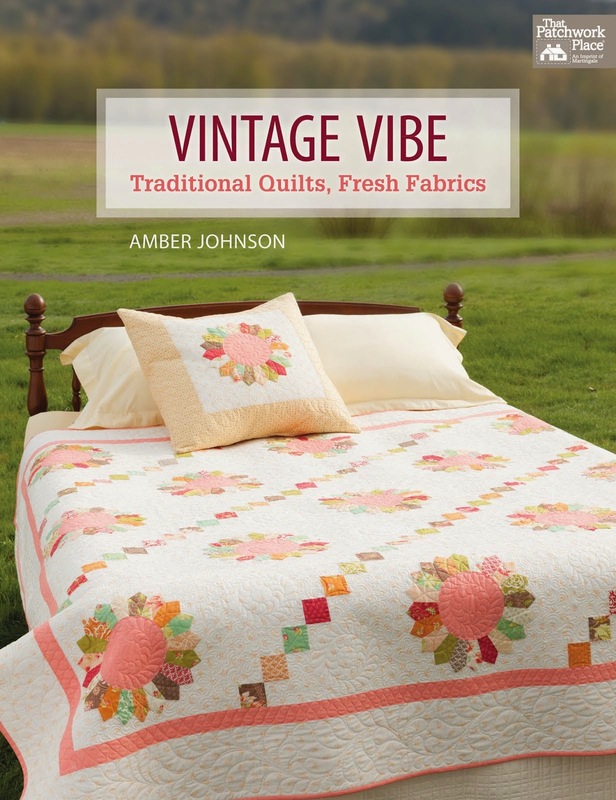 I love your new quilt pattern Amber...and I love the name too! You should know me well enough by now...I would make it scrappy and give it to my grandaughter Sophie Belle...who is just learning to count! What a great quilt!!! I could definitely see making that one for one of my grandchildren as I do a quilt for each one. Darling new pattern! I think it would be cute done in Katie Jump and I know a little girl that would spend all night tracing the numbers. Your pattern is so cute! I would make this darling quilt for me to keep -- something pretty to snuggle up under and read or watch TV. Follower :D. Your blog is so fun and this new patterns is really cute! Thanks for a lovely giveaway! Have to make this quilt for our bitty Granddaughter....who I ADORE!!!! And there is a new Grandson on the way too. SEW I would make this quilt more than once!!!! It has been my pleasure to be a follower for awhile. LOVE your blog!!!! Love your new pattern! Since my home decor is in the Americana theme, I would make it with those colors first & it would be for me & it would be displayed in my living room. Your pattern is so sweet and it would be so fun made up as a kids quilt, in pinks and browns for a girl or blues and browns for a boy. I have some nieces who would love it and perfect for learning numbers. Thanks for the great giveaway, I covet that Bliss fabric. I went over to Lanie Janes blog and I'm putting her in google reader as I don't see she has a follow set up. Thanks for the chance to win Amber. I think this pattern would look really cute in the new American Jane Punctuation. We have friends who just adopted a little girl from China and this would be a sweet quilt to give her. It's a fabulous quilt! I love the colors you chose and would probably do something similar. We have lots of new babies coming in our son/DILs circle, so there would be many recipients to get such a quilt! Thanks so much for the awesome giveaway! Great pattern, Amber. I'd love to do it with Bliss. I have a charm pack of Bliss and an in love... I think I'd try it without the numbers to begin with...I'm chicken! :) Thank you for a great giveaway opportunity! I'D LOVE TO MAKE A 'SPECIAL BABY QUILT' FOR A 'SPECIAL LITTLE ONE'! I THINK I'D CHOOSE A PINWHEEL PATTERN-TOO CUTE! Super cute pattern! I would probably make it out of Bliss- that is if I win the layer cake. But either way I think it would be cute on my daughter's bed. Thanks for the stellar giveaway. I'm redoing my boys rooms as we speak and this would be a fun quilt to make up for their beds...I would LOVE this pattern! LOVE this pattern! I'd make it without the numbers and it would become a living room quilt for me - probably in Bliss actually, or maybe Dream On, the new line by Urban Chiks. So many choices...! Amber - it's very cute! Nice work! I'd love to win your pattern. I would use it to make my daughter a quilt in her favorite color: blue! I posted a comment on Lanie Jane's blog and became a follower! Beautiful quilt! I love the numbers, so unexpected :) I think it would look great in red and black. What a cute quilt! I would love to make it for my daughter. Probably would use Verna by Kate Spain or Bliss! I would use this pattern for a quilt for the newest member of our family, Addison Grace. And I love pink for a new baby girl. I would do the quilt in boy colors...as a couch quilt for my 4 year old. And the bliss is just wonderful! Thanks so much! I would use the pattern in boy colours and would make it for the newest member of our family, little Caleb, who also happens to be the first baby of the next generation! He's my great-nephew. I am already a follower of your blog and have been for a while. Cute pattern! I agree that it would be adorable in the Bliss fabric, cause I love that line, and I would make it for my granddaughter. Great pattern! I would make it for my son, out of scraps. I think I would use PURE for the One,Two,Buckle My Shoe quilt! I would give it to one of the sweet babies in our church. I'm a follower, of course!! This would be a cute quilt in my classroom, don't you think? I'd use brights, and polka dots...! I would use this pattern and make it scrappy......blues & green! I think it would be awesome done up in vintage linens! Follower! Absolutely love your quilts! If I won this, I would use it to make a quilt just exactly like the one you did. I love that quilt. I would use it to go on the twin bed that is in the room that I am decorating for my grands to use when they visit. Perfect! I think i would try it in Blues and Yellows, I'm into those colors right now. Cute quilt! I think I would love to make this in Bliss. It would make a wonderful quilt for my little niece. I would make this pattern in brights for my youngest grand daughter. I love the whimsy of the numbers! I would hang it on my dining area wall above the stairs! Not exactly sure what fun colors but I def would put chocolate brown in it! Thanks for the chance! I've never used a layer cake before so winning one would be GREAT! Oh....I also posted a comment on Lanie Jane thanking her!!!! I can totally see this as a boys quilt. 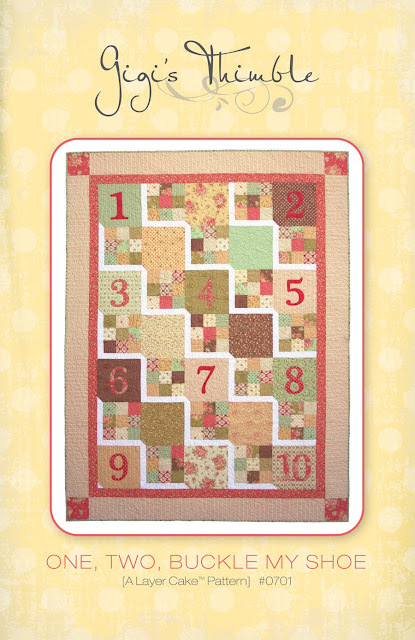 But I also really like the large squares to show off a bit of quilting. Love looking at your blog. Such inspiration. Thanks for the blog and your giveaway. Amber, I try so hard not to get in on your giveaways because I'm your mom, but I can't resist, because I love fabric, too! I'm in! I would make it in blues for my cousin's new baby boy! Would make it with Bliss. What a lovely quilt. I'd love to make something so beautiful for my daughter. If I were to make it I'd use shades of purple and green, some of her favorite colors. This pattern looks like it would be a good scrapbuster. So maybe, I could use bits and pieces of leftovers. I'd like to do it brights with white.